• Has your pool surface faded in colour? • Has your pool surface developed cracks or blisters? • Is your pool looking tired and old? • Or perhaps you are looking to modernise your pool? 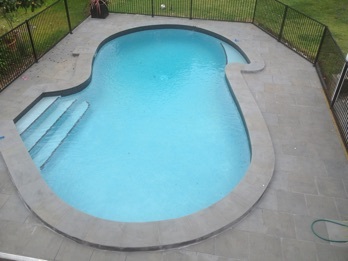 At Melbourne Pool Solar & Plumbing we help you with all your concrete swimming pool renovation needs, including: resurfacing, tiling, pool coping or adding water features and spas. We use only the best quality products and pride ourselves on our superior workmanship. All of our tradesman are highly skilled with years of experience and undertake on-going training to ensure your satisfaction with their knowledge and expertise. Contact us now for a no-obligation quote or to simply discuss your needs.